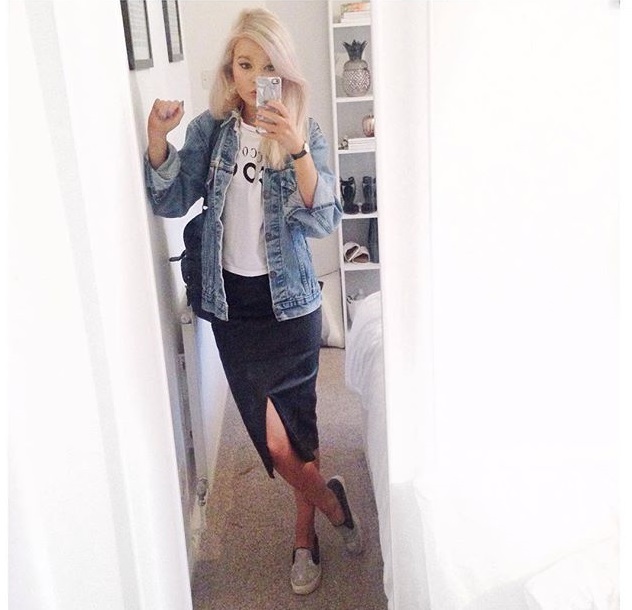 Outfit one: Levi's jacket, New Look tee & shoes, Asos skirt. 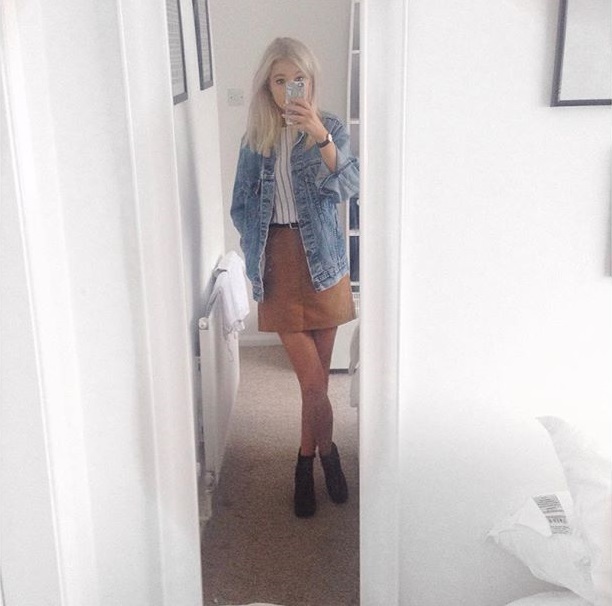 Outfit two: River Island skirt, Levi's jacket, Missguided tee, Topshop shoes. 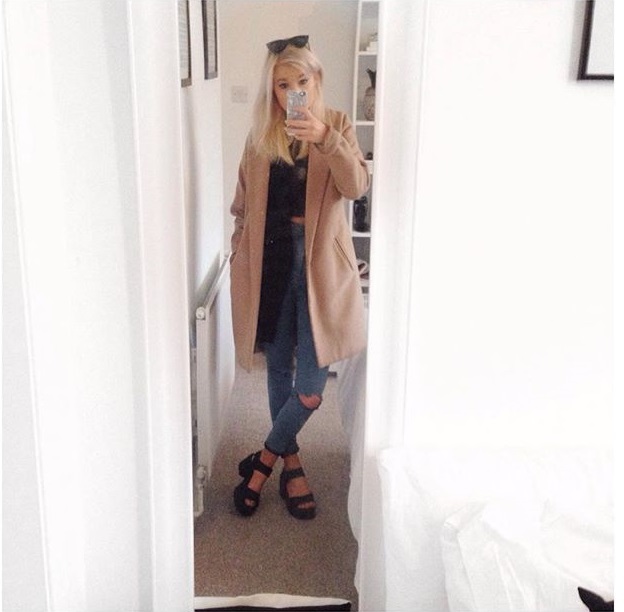 Outfit three: Topshop DIY jeans, New Look shoes & coat, Topshop jacket & top, Asos sunglasses. Welcome to a selection of outfits that I have worn and snapped over the past few weeks. Outfit three is a typical Laura lazy outfit. Ripped jeans with a black top and my camel coat thrown over. Outfit number one is probably my favourite as I think it is a bit different to my standard black and white outfits. Outfit number two I also like as I love making leather skirts more casual looking. I can then dress it up for evenings out. I am completely reusing all my clothes from last year at the minute this A/W, but believe me there is SO much I could buy if I wanted to. Faux fur coats in particular and I'm talking Made In Chelsea style. FYI Louise Thompson is my ultimate MIC girl crush and I think Jess has a quirky style. I feel though that I will buy pieces when I see them being worth it but I feel content with what I have at the moment. I'm also trying to save some ££. Anyways I hope you like my dirty mirror outfits..
Love the Levis denim jacket. Great inspo!